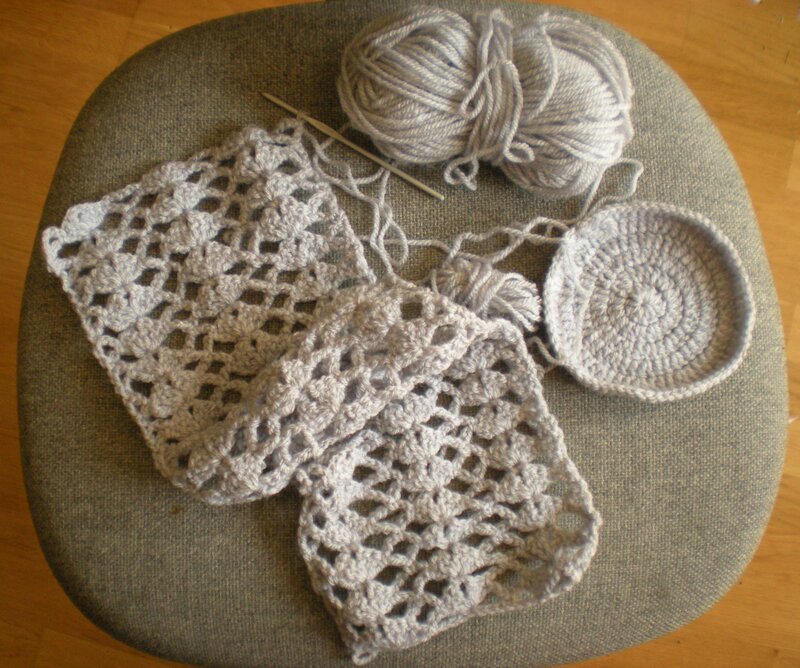 I was given some soft grey yarn recently, really a bit too much to use for toys. It is ages since I made myself anything, so I thought I’d use it for a scarf and beret. I just wanted to make something easy and portable. A pick up and put down project I can take out with me, or do in front of the TV – or, here’s a thought, in the outside air now the weather has finally become rather nice! 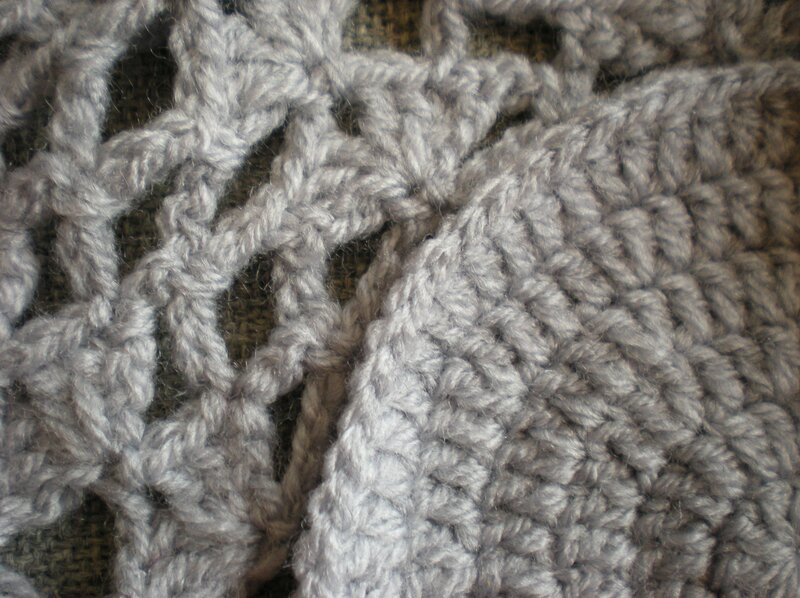 I found a pattern on Ravelry in chart form – first time I have used one for something other than an amigurumi toy. 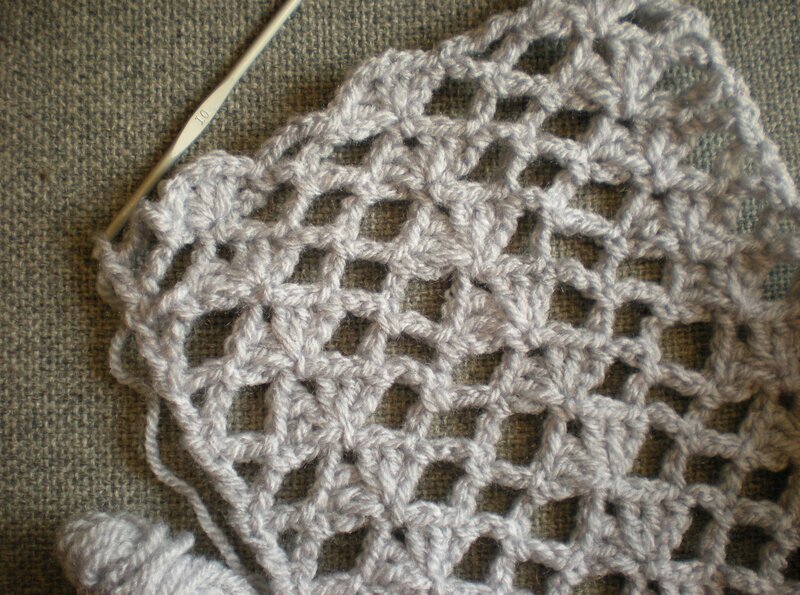 So far so good; it is only 2 rows and yet has an effective lace look. I should have just made something up but I’m a bit low on energy and time right now. Browsing Ravelry seemed so much easier (and is always fun), then working out one of my own “on the hook”, which I normally would like to do. Of course I seem to be putting it down rather more often than picking it up, or at least putting it down after a few stitches, let alone rows! World’s slowest “quick project”, and now the weather is warm so I don’t need it anyway, LOL. But then I have to finish it first, in case I run out of wool, because the scarf can be any length, well this is where I am at right now..